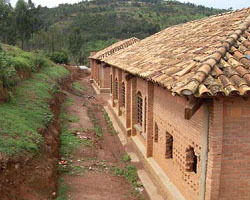 CONSTRUCTION OF THE CENTRE FOR DISABLED CHILDREN: « JYA MUBANDI MWANA » IN THE NYACYONGA DISTRICT GASABO / ‘BIG’ KIGALI . 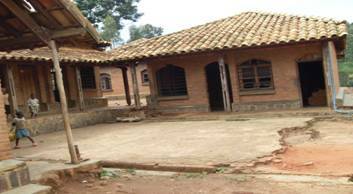 Target: support the Rwandese association; this association has set up a shelter for children with a mental or physical handicap. 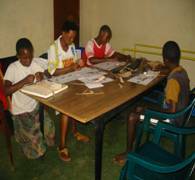 They strive to offer the disabled children social and educational activities. 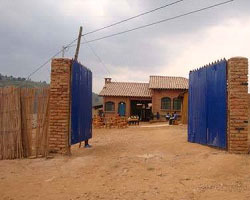 The set up of these kind of centres is recent and concretises a totally new vision in Rwanda, i.e. all children have the right on education to be able to develop similar as all other children. 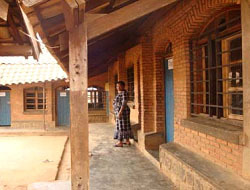 The centre is mainly run by volunteers, with as a basis “the mothers”. Support from public instances is extremely scarce and changeable. Despite the low external support the centre has so far realised some remarkable activities which for sure deserve further encouragement. The requested help is to allow the association to have buildings under own management, functional and adapted to allow the children to develop in a fort hem stimulating environment. Providing gifts by the sponsor will allow so. This is an absolute condition to guarantee the sustainability of the activities of this centre. 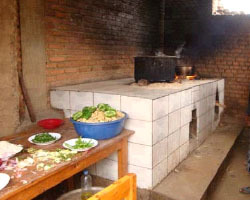 Rwanda is a country in Central Africa. 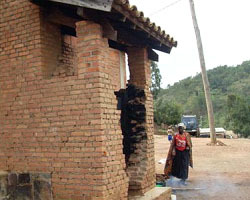 Neighbour of Burundi, Tanzania, Uganda and Congo. Surf. 26 338 km². inhabitants 10 million (314 inhabitants/km²), of which 84,4% rural. The Group -15 years-old represent 45,2% of the total population. 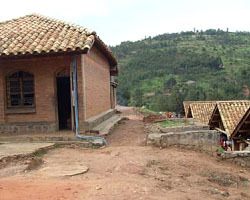 Rwanda is one of the least developed countries and is the 159th on 175 on the world ranking list (2003). Gross national income per year is 1270$/per inhabitant. Rwanda knew tragic events in his recent history. The war and the in 1990 started people assassination lasted for 4 years. In the conflict zones, all people migrations had as a consequence that children got separated from their families. War and genocide in 1994 resulted in more than a million death people. 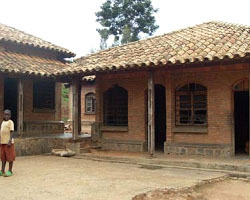 Since 1994 the country is engaged to reconstruct with an increase in population. The biggest challenge however is the economical growth which should allow increased development and reduced poverty. 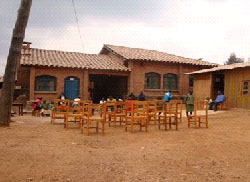 According the people in count in 2002, Rwanda has 308 501 persons with a physical handicap i.e. 3,9 % of the total population. The same source mentions 14 816 persons with a mental handicap. 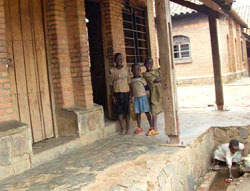 Against these disabled children, mainly the one with a mental handicap, a lot of preconceptions exist in the Rwandese society. Or they are seen as a curse on the family or as God’s will to pay off for a sin. In all cases the birth of a disabled child is a shame, a punishment, which one tries to hide to whatever extent. It is even not exceptional that the family kills the child shortly after birth of, less drastically, hides it so nobody gets to see the child. It latest till the early 90-ties before parents – mainly mothers – started to revolt against these practises. They grouped themselves and started to come up for the rights of children, victim of a mental handicap, to live and to be happy as “child just like all children”. Early 2000 several organisation, more specific the shelters started. 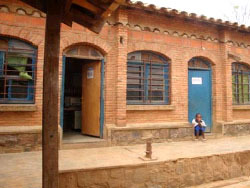 Target was to give children with a mental handicap a place, mainly during day time, and to offer them socio-educative activities (specialised food, physiotherapy, education to a profession,…) but also to offer a shelter to children with more severe handicaps, which demands a more extended support. 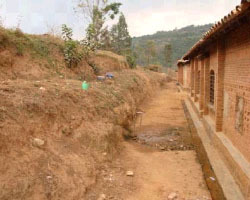 These initiatives are new in Rwanda, mean progress and are a sign of the positive change in mentality. 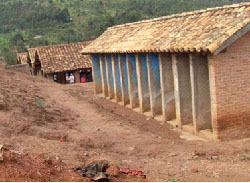 It is remarkable that the Rwandese public instances don’t take any initiative. 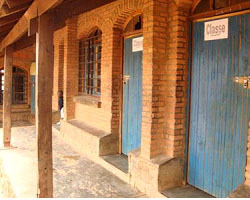 We also need to note that specialised education is not existing as discipline in Rwanda en that the centres for children with a mental handicap have to consult books of references or the support of an NGO as Handicap International. The association was set up in 2002 i.e. 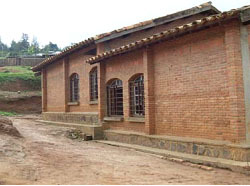 a shelter for children with a mental handicap in Karuruma, district Gasabo, city Kigali. The centre has 65 resident and 202 ambulant children; some come a few times per week (physiotherapy, education, activities who lead to financial income,…). 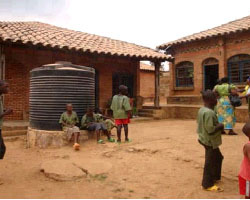 The children come from the city of Kigali but also from more rural areas (Shyorongi, Kabuga and Ruyenzi in Muhanga in the south of the country and Gisenyi in the north). The centre has 3 learning groups (special education) and realises socio-educational activities (sewing, wood manufacturing), basic-education and re-education. Parents and a number of youngsters commit themselves in the centre by manufacturing of art- and other objects (postcards, shoes, knitting, drawings on shirts for men of e.g. gorilla’s,…). The sale of the objects gives the centre needed financial means. The centre Works, mainly thanks to the commitment of volunteers, in most cases mothers who have a child with a mental handicap. The centre can count on 2 physiotherapists, 4 teachers, a cooking team of 3 persons, 1 accountant, 1 social assistant en 1 director. On top of these 2 shoe-makers, 2 girls who produce postcards, 2 young girls who give sewing, 1 responsible for the education of wood manufacturing, a responsible for the education of welding and a handicapped person who is responsible for the knitting education joined. 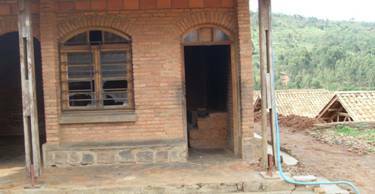 The centre Karuruma in Gasabo is situated in a house; monthly rent is 150 000 RwFr (250 €). This is a temporary solution as the type of rooms does not match the needs. Luckily so far we didn’t had to close the doors yet. 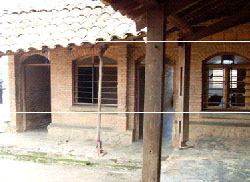 At one side the building was adapted and the outbuildings were used as well. 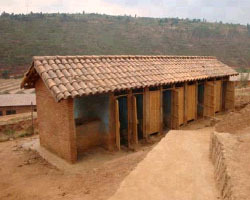 Wooden small houses were constructed, used as classrooms. The association has already long the plan to accomplish a construction project, the only sustainable way of working. 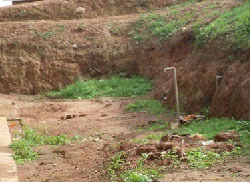 From the district’s government one got a piece of land on a appropriate location to start the constructions. 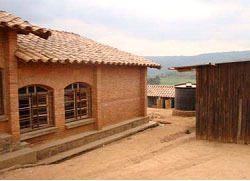 The support of the lessor would allow us to construct an adapted building. By this we could expand our shelter capacity to 100 beds. Unfortunately so far this project was not realisable yet. 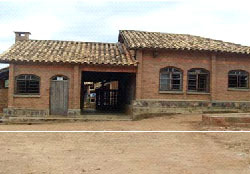 The coordinator went to the local government, who offered a big building (in piteous state), for long term use. Because of all these reasons we present our plan; to allow somebody who has the means and wants to support with a warm heart the children, to make the existing buildings habitable for disabled children. This would allow us to help lots of children and youngsters. 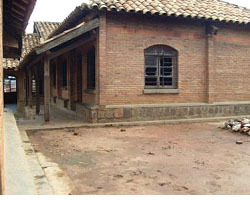 Following pictures show the actual state of the buildings. We quote the Total sum of 5,120,063 RwFr. 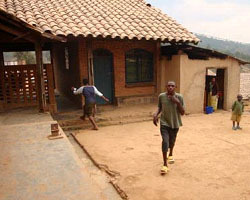 Since the end of 2009, the association JYAMUBANDIMWANA has buildings in tenant from the district Gasabo, to host the activities of the centre and to host disabled children and youngsters. Thanks to the financing by vzw «Vleugels van Hoop », the buildings could be improved and adapted which makes them habitable. The majority of the works is finalised according to the plan, some others not. 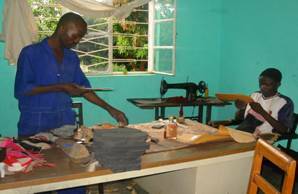 Jyamubandimwana is proud to send this report to «Vleugels van Hoop ». On top of that they want to send them their sincere gratefulness. Here a second barrack was placed. Part of the fence is not installed yet. 1. The fluctuating exchange rates ended in a loss of 512.000 RwF. Indeed an amount of € 6400 was transferred at a rate of 800 RwFr for 1 € i.e. 5.120.063 RwFr. The real rate was 6400 x 720 = 4. 608.000 RwFr though and as the sum was not sufficient to cover all unexpected costs, this amount was reduced on the budget for installing the fences; a minus operation of 268.000 RwFr. 2. 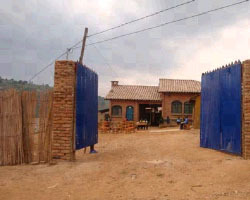 As the building was empty for a long time and the original construction plans were missing, the installation of electricity has to be done from almost scratch. 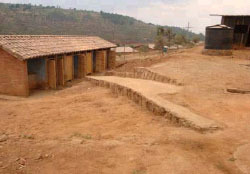 Also the installation of the toilets was very hard because of the search for the septic wells. 'Jya mubandi mwana' thanks vzw 'Vleugels van Hoop' and is deeply grateful for all the financial help. The works are still ongoing but the majority is done, which made the building habitable. At the moment the centre is hosting 70 disabled children and youngsters. The children get the opportunity to study, the youngster to learn a profession and to prepare for reintegration in the society. As perspective, the association JYAMUBANDIMWANA works for on the restoration for which a financing of 1,450,000 RwFr (+/- 2,000 Euro) is needed. The association is also making all needed efforts to obtain the needed material for her activities. This is an amount of four million three hundred thousand Rwandan francs. 4.300.000 RwFr what corresponds with +/- six thousand Euro i.e. 6.142 €*. For already 8 years, the association JYAMUBANDIMWANA has been providing aid to children suffering from a handicap and youngsters especially descending from poor families. 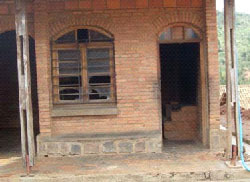 At this moment we are providing accommodation for 84 children aged between 2 and 18 years. 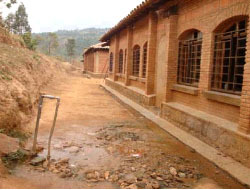 In 2009 the government put at our disposal a building in which we could pursue our activities. 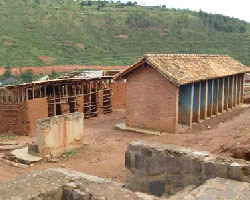 Nevertheless this building needed to be repaired and equipped. Fortunately we could count on our partners. In 2010 the Belgian association "Vleugels Van Hoop" gave us a second financial aid allowing us to carry out the necessary repairs. But, what is even more important, this association paid for the indispensable equipment. For more details of this project, see separate reports 17A & 17B. 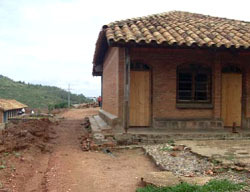 Obtaining the necessary financial means allowed us to start our activities. 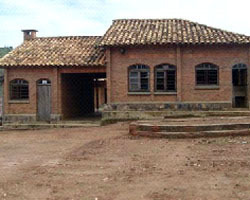 First of all the work on the building could be finished, then we had to buy materials and equipments. All these were done at the beginning of November 2010. In order to guarantee safety, some repairs were postponed until the end of school holiday. 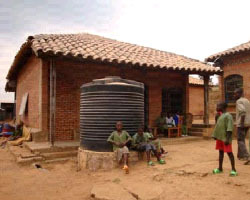 As for the purchase of materials, this project provides for the highly necessary basic equipment to Jyamubandimwana that allowed some 80 children to improve their conditions of living. The financial report informs you in detail on this matter. The financial contribution by "Vleugels van Hoop" amounts to € 8.100 Euro: € 2.000 were spent on repairs and € 6.100 to purchase materials and equipments. The financial report shows that the activities are completed. What still should be done is the canalization of the rainwater as well as the delivery of the pullovers. If we take in to account that the expenses already done and the expected expenses amount to 6.046.300 Rwfr, 28.700 Rwfr will be still left from the total amount of 6.075.000 Rwfr. Our association is very happy! The opening of the adapted center enables the development of a diversity of activities. Finally JYAMUBANDIMWANA would like to express its gratitude to the Embassy of the Netherlands. Thanks to the cooperation with their services the realization of the initial project was made possible. Friday, 01-20-2012. We visit Xavérine and her Centre for disabled children. Yet another welcome with dancing children who embrace us with an enthusiasm and affection that goes straight to the heart. In this centre joyful faces of acceptance, ‘ feel at home ’ …. But the needs are greater than the possibilities. We know that there are plans to extend!! Admirable the courageous way the partners keep going on!! We hope to help them with an ambitious plan of expansion! If this succeeds you will hear more about it in the next newsletter.